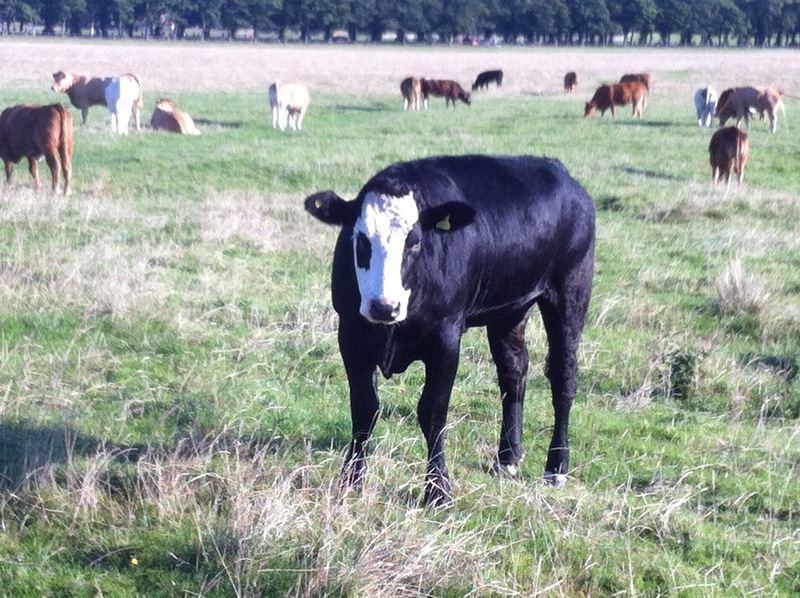 In our look back at 2015, the year SPACE for Gosforth was formed, we wrote that this was only the beginning and that in 2016 we had a whole year to make a difference. What we could not have anticipated at that time was the immense difference that 2016 would bring to our community. A better Gosforth High Street was the reason SPACE for Gosforth was founded in 2015, and we continued to focus on the High Street 2016. 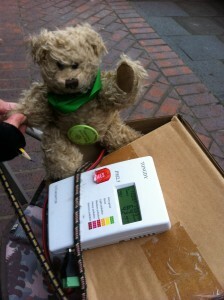 A High Street filled with hidden dangers! 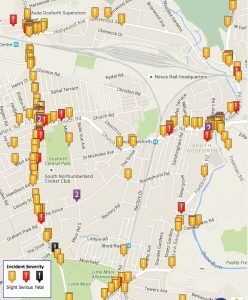 We began the year by publishing an account of a walk by one of our members on Gosforth High Street to raise awareness of the challenges faced by those with a visual impairment. Our member was blindfolded and accompanied by a volunteer guide from Guide Dogs for the Blind, and his walk revealed a High Street filled with hidden – and not so hidden – dangers. 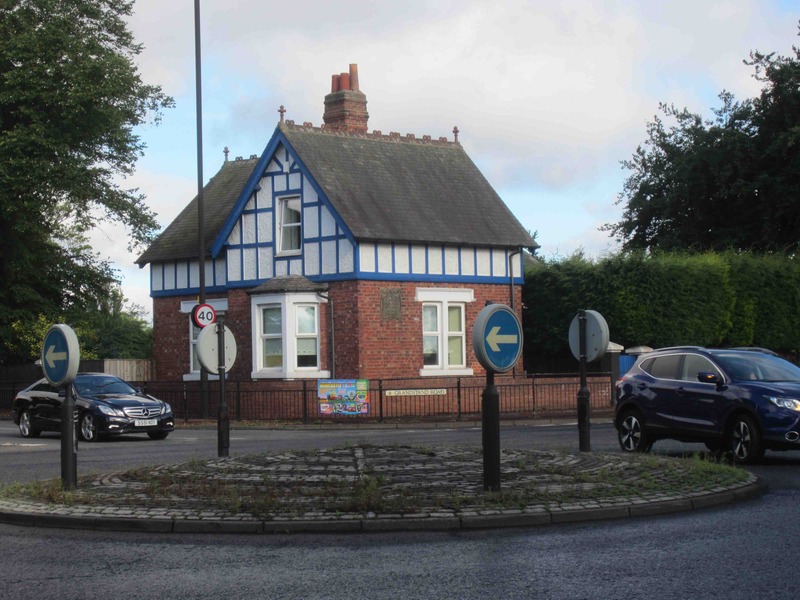 This would be an issue for any community given that the UK has an ageing population, but it is a particular issue for Gosforth as three Gosforth schools house Newcastle City Council’s Visual Impairment Additionally Resourced Centres. Newcastle City Council also agreed to work with SPACE for Gosforth and local traders to improve plans for Gosforth High Street. 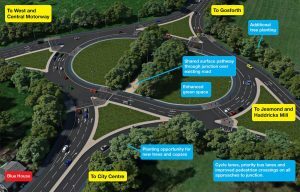 These improvements will take place in stages – the first stage to be agreed was improvements for pedestrians, which has recently been the subject of a consultation. 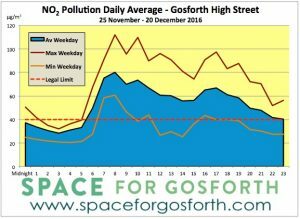 Gosforth High Street is part of the South Gosforth Air Quality Management Area. 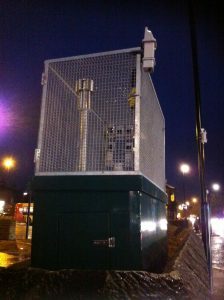 The South Gosforth AQMA was declared due to high levels of nitrogen dioxide, and is one of two AQMAs in Newcastle upon Tyne (the other is the City Centre AQMA, which has even higher levels of nitrogen dioxide). 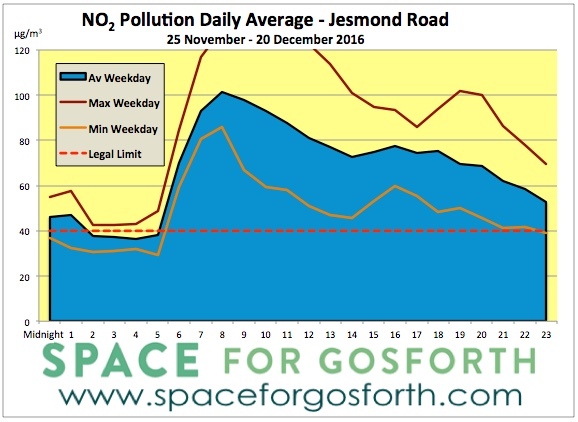 SPACE for Gosforth began investigating this issue in 2015 and we continued to highlight the issue of air pollution during 2016 as well as other costs to the community of the negative impacts of traffic. 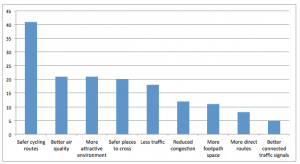 By contrast, research confirms that increasing cycling has a positive effect on local business. Air pollution monitor on Gosforth High St.
During the autumn, we were able to track daily readings from the Gosforth High Street air pollution monitor thanks to Newcastle University’s Urban Observatory project. We were very worried to note the increase in levels of nitrogen dioxide on Gosforth High Street before Christmas – and a similar increase in the City Centre Air Quality Management Area. This is an issue SPACE for Gosforth intends to continue investigating due to the risk to residents’ health from air pollution. 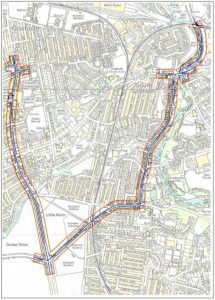 Further north from Gosforth High Street on the Great North Road, we also looked at the responses to the proposed new cycle route between Broadway and Brunton Lane, a proposal that received strong support during the consultation. The graph on the left shows the reasons why respondents liked the proposals. 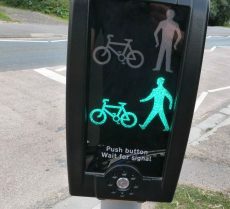 Despite this, there have been concerns raised relating to the introduction of a toucan crossing. We examined the issues relating to this crossing, in particular the need for a fully accessible crossing at this point. 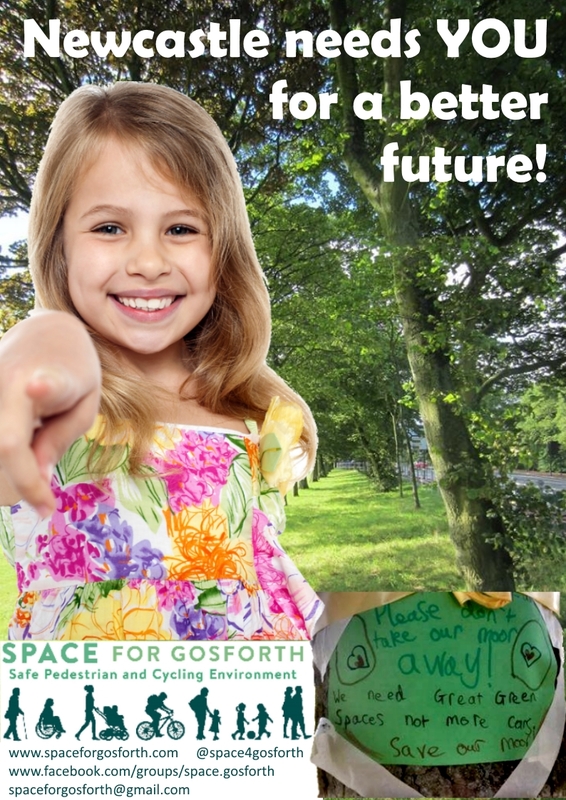 SPACE for Gosforth was founded to add new information to the local debate and to take action on the challenges facing Gosforth, and we did this in a number of ways in 2016. One important local issue we wished to examine at was the issue of drivers speeding on many of Gosforth’s residential streets, so we obtained and analysed traffic counts from Newcastle City Council to provide residents with accurate data about this issue. 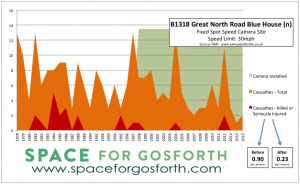 When Gosforth’s speed cameras made the local news, we analysed speed camera data to show that there has been a reduction of accidents since these cameras have been installed. 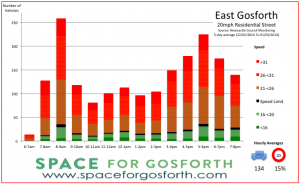 We returned to the issue of speeding at the time of the East Gosforth Ward Survey and Priority Event, when we also examined air pollution levels and road traffic casualties in East Gosforth Ward to provide residents with information on this issues . 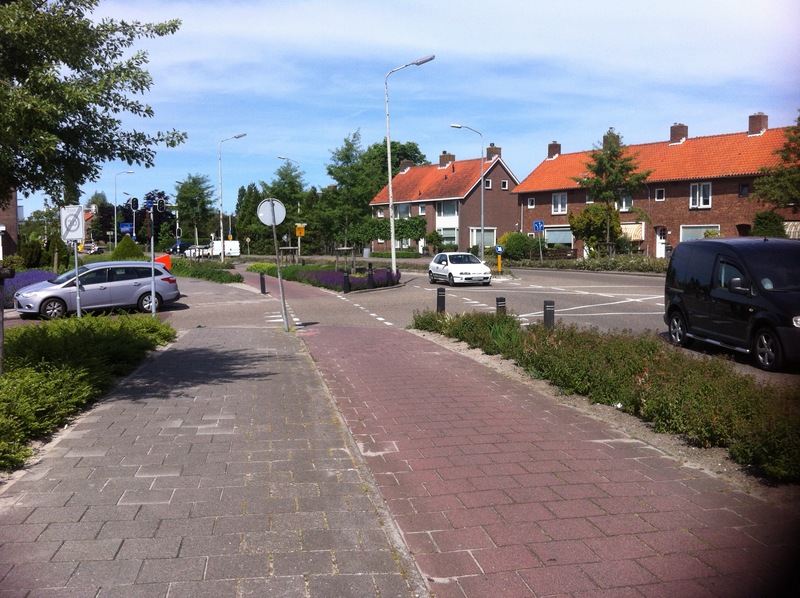 Another issue we examined was children’s experience of cycling in our community. We began by looking at safe cycling routes for children when we applied the research of Dr Rachel Aldred of Westminster University to our local cycling routes. 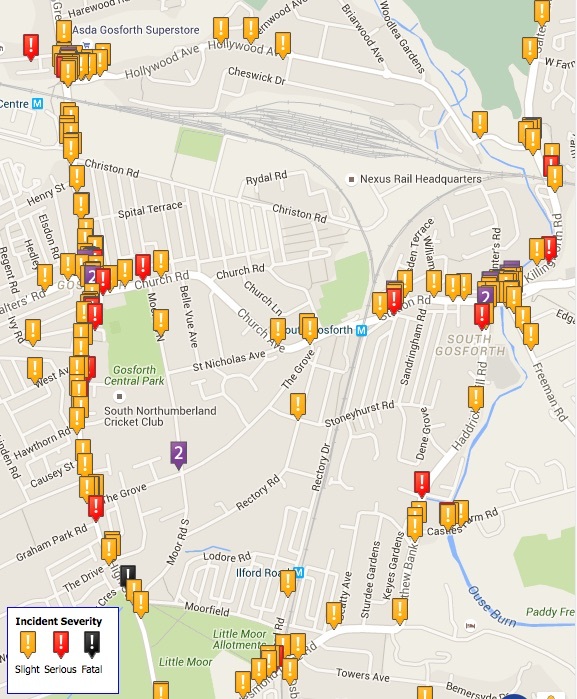 We found that while Gosforth does have examples of routes that are safe for children to cycle, these do not link together to form a coherent network and many streets are unsuitable for children. 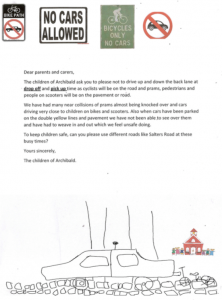 We were also able to give an insight into how children see their school run in March, when we were privileged to be given permission by Archibald First School to publish a letter written by some of their pupils describing the near misses they have experienced on their way to school and requesting that parents drive safely around their school. In April several local schools took part in The Big Pedal, a challenge to encourage children to cycle safely to school. 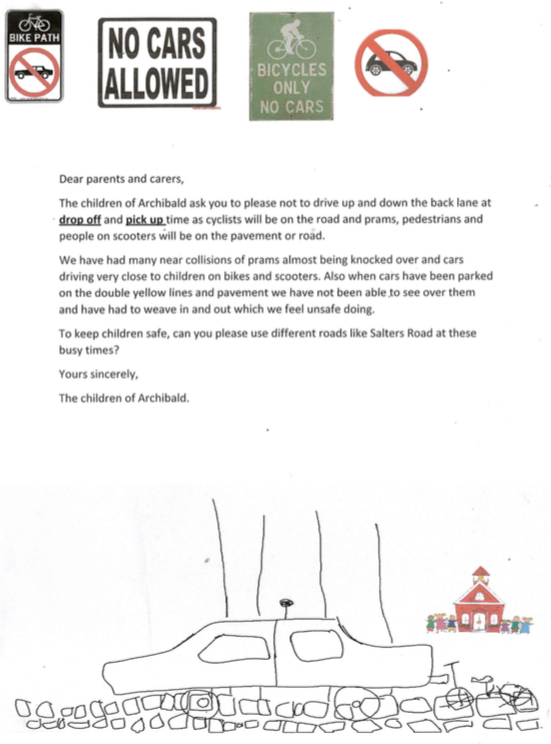 We reported on the results at the end of the first week and at the end of the Big Pedal, when three Gosforth headteachers all commented on how much their pupils enjoyed travelling by bike. 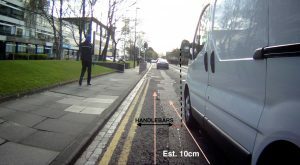 We also looked at the Safe Overtaking petition, a parliamentary petition for a safe overtaking distance, and published a YouTube video clip showing a close pass near a Gosforth primary school. 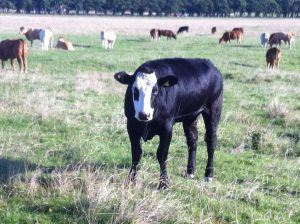 The petition closed with 23,834 signatures, however the Government responded that it does not currently have any plans to change the legislation. 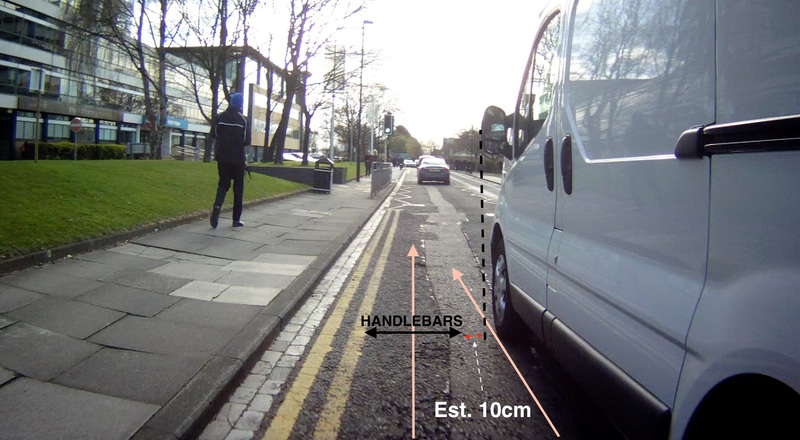 This is concerning as many of our members have shared their experience of suffering close passes when cycling in our city. Also in April we organised a taster session of Electric Parks in Gosforth Central Park. 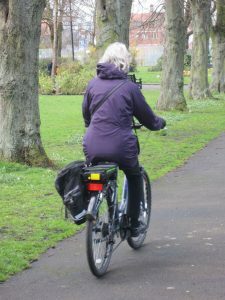 Despite torrential rain, this session proved popular and one resident even arrived before the session began as he was so keen to try the bikes. 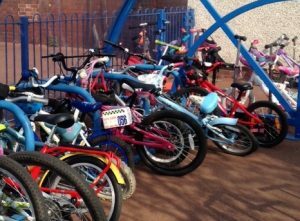 “Just brilliant” was the verdict of our members who collected the bikes from the Cycle Hub! 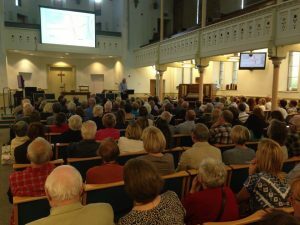 SPACE for Gosforth would like to see more events like this in Gosforth and we were pleased to see Go Smarter to Work organising an event in December at Trinity Church. We also created the Bike Bingo Card for Bike Week. 2016 also saw the opening of Newcastle’s flagship cycle route on John Dobson Street, and we were impressed to find that the improvements have humanised a street that was previously inhospitable for both pedestrians and cycling. 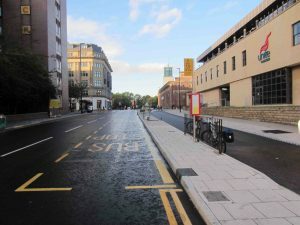 During the media debate following the opening of the John Dobson Street route Newcastle was often compared with Amsterdam, so we looked at what the two cities have in common. 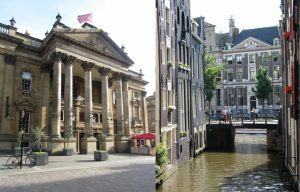 We found that while both have iconic bridges, lively nightlife and great architecture, there is much we can learn from Amsterdam as it has higher numbers of cyclists, higher driver satisfaction and a much higher GDP. 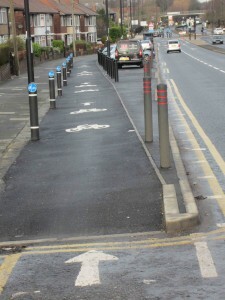 In January SPACE for Gosforth members met East Gosforth Councillor Henry Gallagher on Station Road to investigate residents’ concerns about proposals for parking, which were felt to be a possible danger to cyclists. The plans were later withdrawn and other plans included as part of the Haddricks’ Mills proposals (more on these proposals below). We ended January by holding a talk with a guest speaker, Professor Mark Tewdwr-Jones of Newcastle University, about the City Futures project, which looked at what Newcastle might look like in 2065. 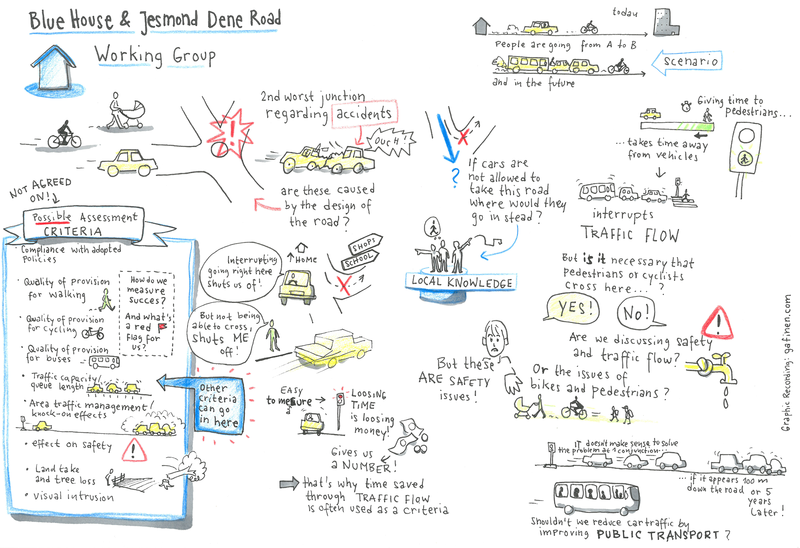 Following our air pollution monitoring on Gosforth High Street in 2015, we held a joint meeting in April with the Tyne and Wear Public Transport Users Group on air pollution with guest speakers Professor Margaret Bell and Dr Anil Namdeo from Newcastle University to explain this threat to our health. 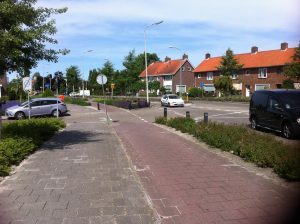 Finally in November, we held a meeting with Tom Bailey of Almere Consulting as our guest speaker to introduce his Garden City Guide to Active Travel. Tom created his Guide after realising there was a gap in design standards for new large scale developments – and with so many new estates planned for Newcastle and its neighbouring communities, this was a gap that urgently needed filling. In April we looked at the North-East Combined Authority’s survey on the future of transport in our region. 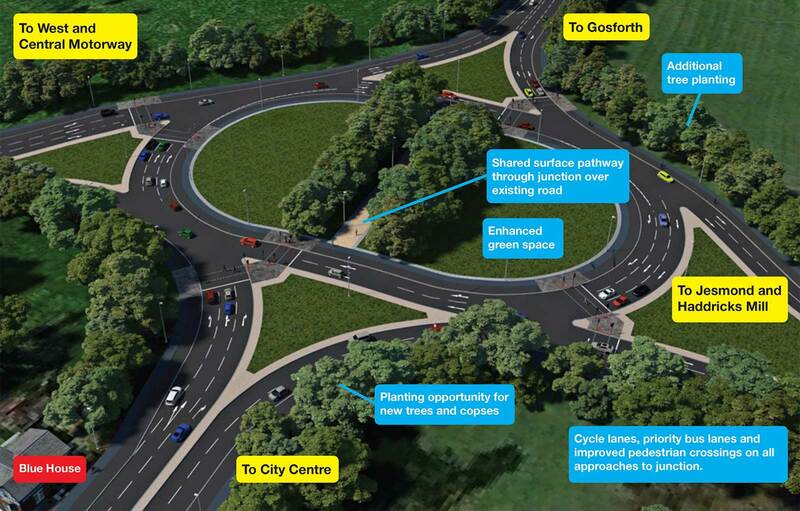 NECA’s vision of the future for Gosforth became clear in July when plans for “improvements” to the Blue House roundabout, Jesmond Dene Road and Haddricks’ Mill roundabouts were published. All three proposals caused outrage throughout the Gosforth Community and beyond, particularly Blue House, which would have had a devastating effect on Newcastle’s iconic Town Moor. SPACE for Gosforth objected to these proposals on these grounds and due to the risk to public health, and because the proposals would not work. We wrote an open letter to the NE Local Enterprise Partnership, who were contributing funding for the proposals and later received this reply. 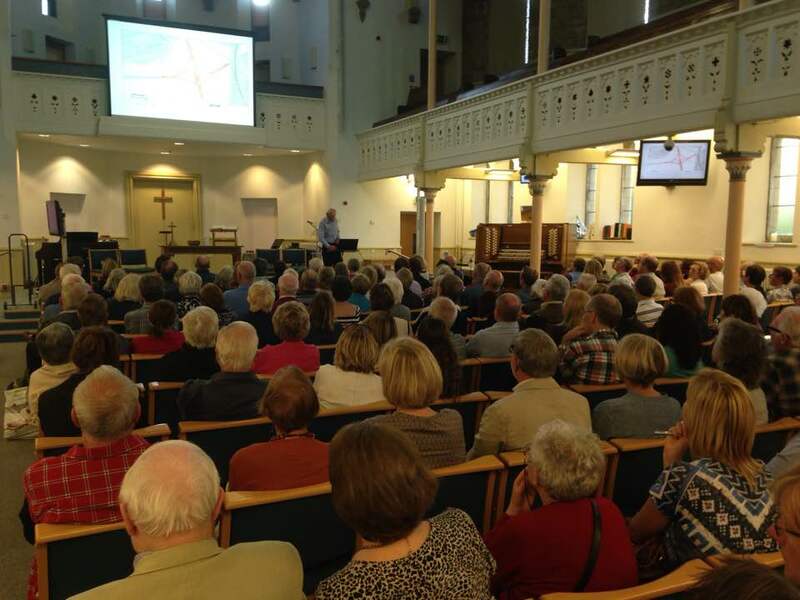 As SPACE for Gosforth believed that improvements for pedestrians and cyclists were needed at all three locations, we arranged a public meeting at Trinity Church to discuss alternatives. We thought it was important that our community must not only say what it did not want, but also what it did want. 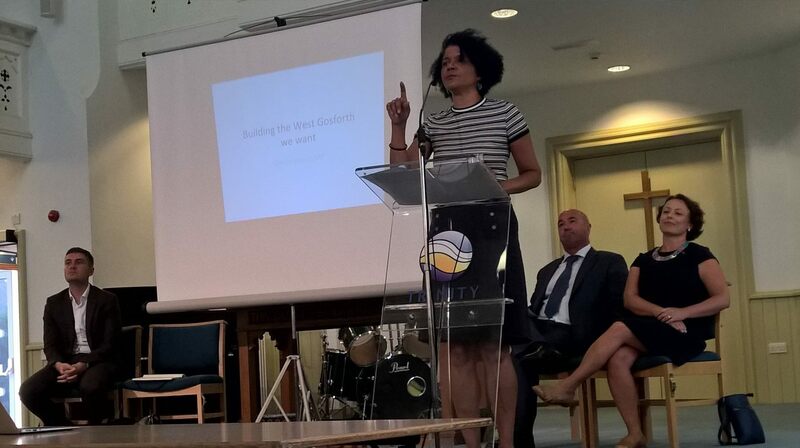 The result of the unprecedented community rejection of these plans led to a public meeting organised by Chi Onwurah, MP for Newcastle Central, and also attended by Catherine McKinnell MP (Newcastle North), Cllr Ged Bell and Graham Grant (Head of Transport Investment). 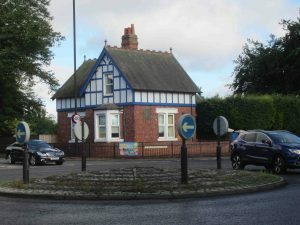 Following this meeting SPACE for Gosforth was invited to join the Blue House Working Group. 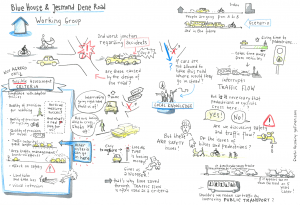 Information about the group can be found on the Blue House Working Group website, and we have also blogged about the first, second, fifth and sixth Blue House meetings. The future of Blue House will continue to be decided during 2017, and we set out a series of measures of success for both policies and for people movement against which the final plans (when published) can be judged. Shortly after the Blue House public meeting, plans were submitted to North Tyneside Council for a development on Gosforth Business Park which illustrated how planning can influence the type of journeys we make. 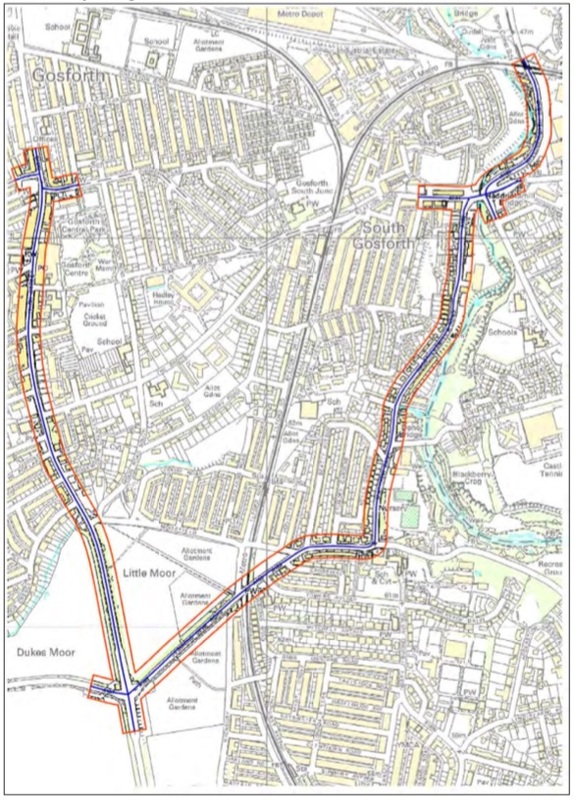 We were very concerned to find that these plans made no reference to the nearby South Gosforth Air Quality Management Area and were likely to increase traffic in the AQMA. 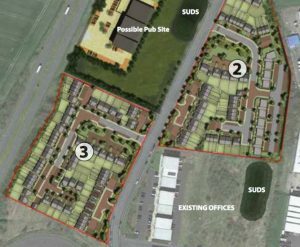 With many other nearby developments planned, planning will remain an issue of concern in 2017. 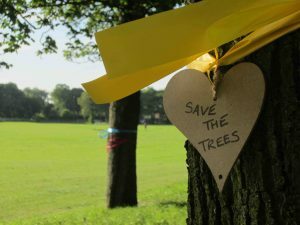 Looking back on 2016, we are amazed at challenges our community has faced and are proud that we have added to local debate and have taken action to improve road safety and air quality in our community. But these challenges will continue in 2017 – please join us to help make a difference!